It hasn’t all been lazing around in the northland sun, we have been out and about whilst we were based at Otamure. 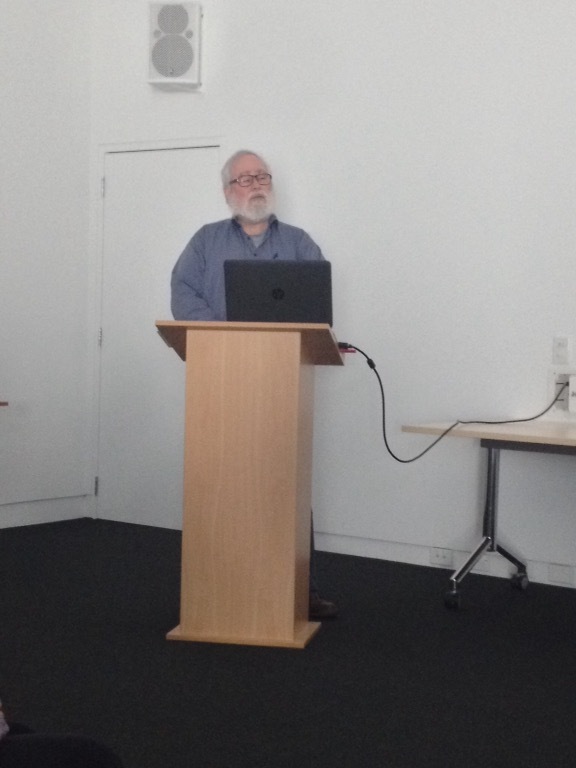 Last Sunday we took ourselves off to Waitangi for the afternoon as we had seen that Roy’s cousin Stuart was giving a lecture at Waitangi Museum on NZ Studio Glass. We thought we would surprise him by turning up unannounced on the day. 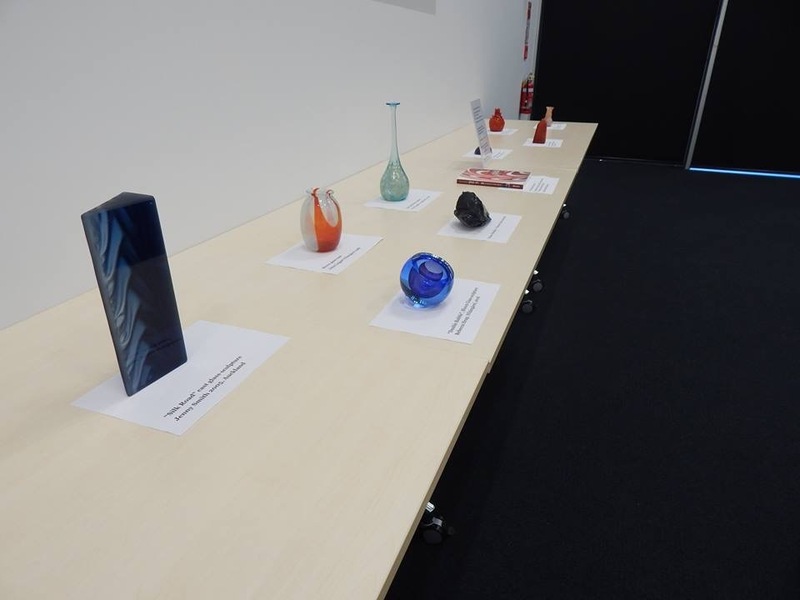 Some of Stuart’s examples of studio glass. 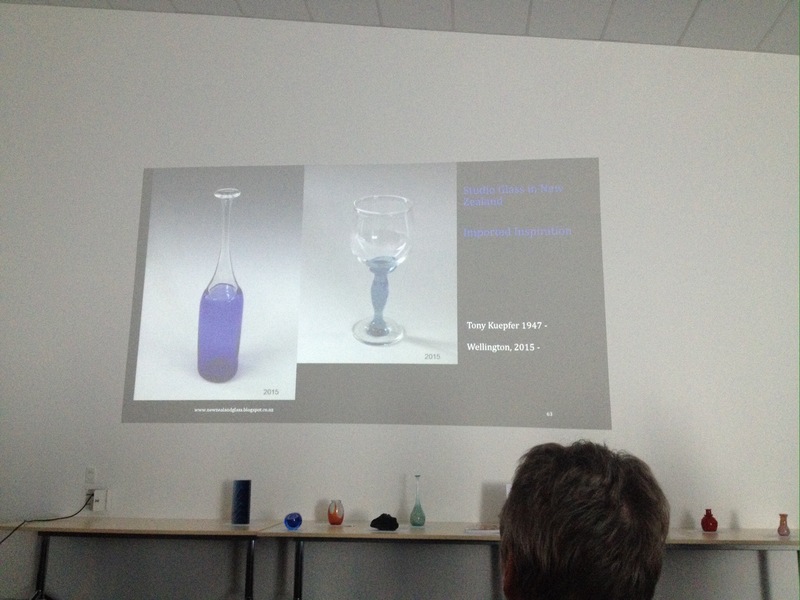 As usual, Stuart gave a very informative talk which was very interesting and I learnt an awful lot about glass, the people involved, techniques and where much of New Zealand’s studio glass is made. 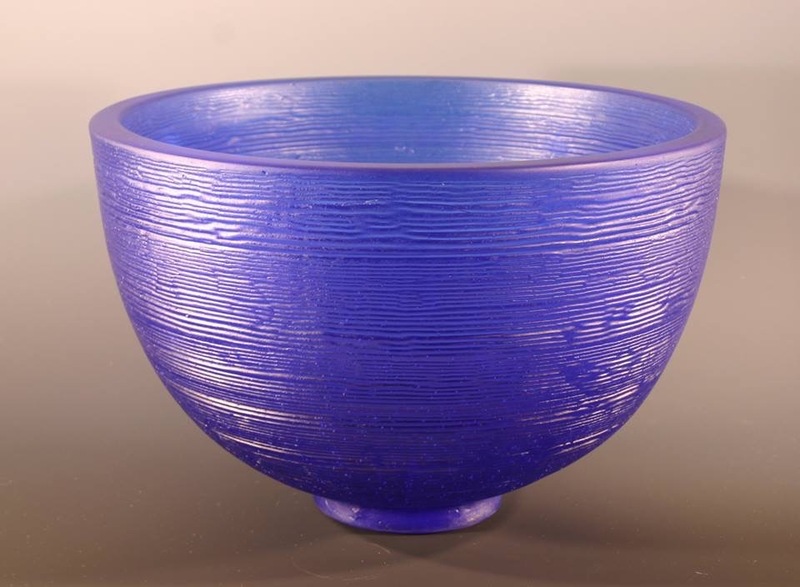 Stuart has a very good collection and he also writes a very good blog here. Friends Ron & Janet came to visit on Monday afternoon as they were up staying near Tutukaka for a few days. In between other commitments they came for a scenic drive to visit us at Otamure. It was lovely to see them again and catch up with all their news. 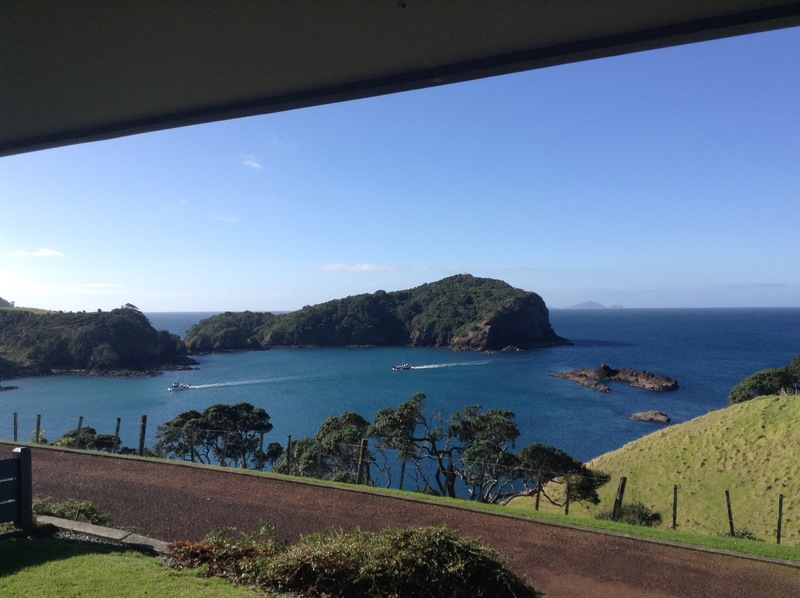 Then on Tuesday we returned the compliment and went over to Tutukaka to visit them. 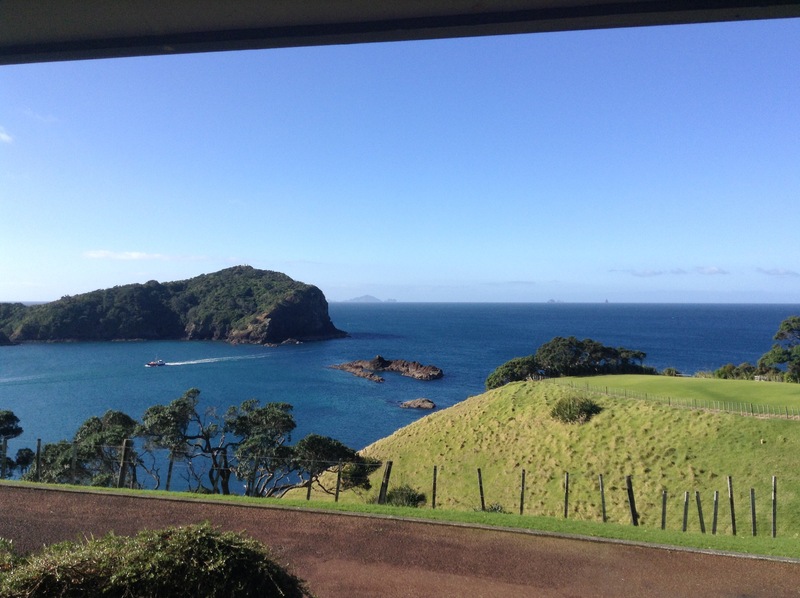 They were staying on the southern entrance to the Tutukaka harbour entrance and what a stunning location and view from their unit. This is the view from their accommodation. Fishing boats return to harbour at the end of the day. In the distance you can see the Poor Knights group of islands, they are a nature reserve and popular underwater diving spot. The Poor Knights Islands Marine Reserve surrounds the island. The islands’ name is said to derive from their resemblance to Poor Knight’s Pudding, which, from what I can gather looks very similar to a bread pudding. And no, I don’t see the resemblance at all!